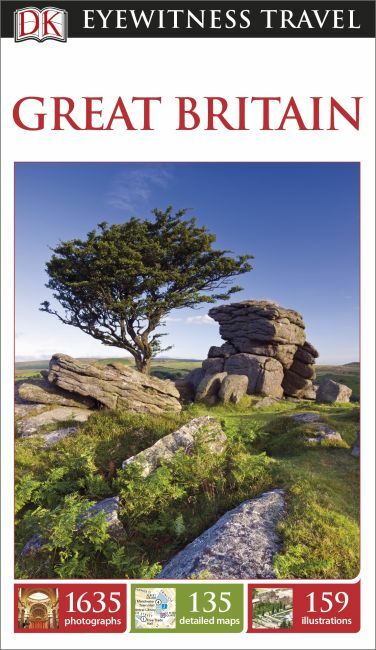 DK Eyewitness Travel Guide: Great Britain takes you by the hand, leading you straight to the best attractions England, Scotland, and Wales have to offer. DK's insider travel tips and essential local information will help you discover the best of Great Britain, from the famous landmarks in the hearts of the capital cities to the day trips around the countryside. See Big Ben from the London Eye, enjoy a pint on the sidewalk outside a pub, discover the mysterious and magnificent Stonehenge, and explore fairytale castles. Discover DK Eyewitness Travel Guide: Great Britain. + Detailed city map of London includes street finder indexes for easy navigation. With hundreds of full-color photographs, hand-drawn illustrations, and custom maps that illuminate every page, DK Eyewitness Travel Guide: Great Britain truly shows you this region as no one else can. Recommended: For a pocket guidebook to London, check out DK Eyewitness Travel Guide: Top 10 London, which is packed with dozens of top 10 lists, ensuring you make the most of your time in the city.